this particular Bougainvillea tree is on the property of the condo we rented in Key West this year. It has grown terribly out of shape, completely bending over, and yet it continues to thrive. As you can see it is lifting the interlocking brick as it grows. to thrive. This entry was posted on March 30, 2015 by Heather. It was filed under Uncategorized and was tagged with Bougainvillea, florida, flowers, Heather Cote Photography, key west, nature, sunny, trees. I guess so… such a strange way to grow though. 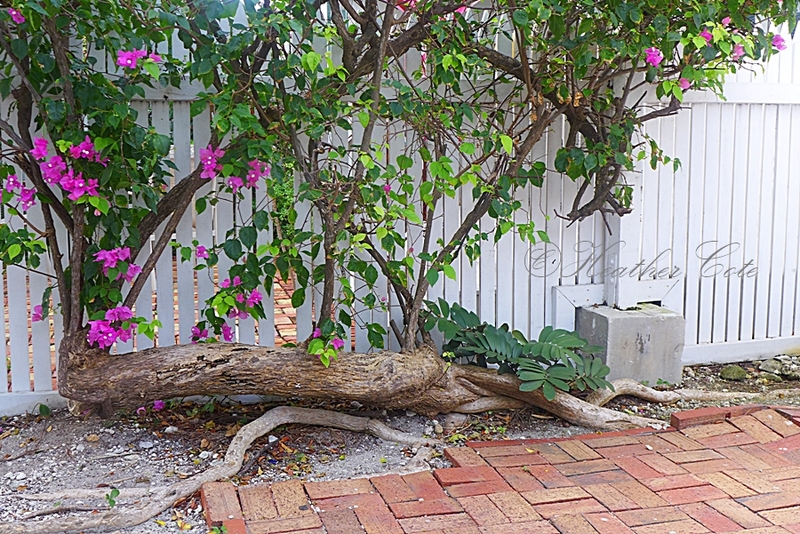 I do have to say I’ve seen many trees in Key West growing in most unusual ways?